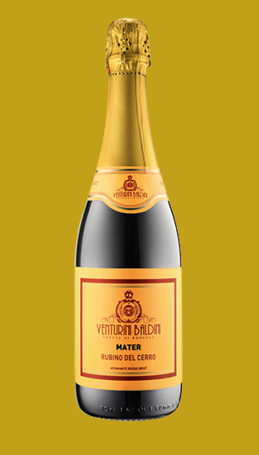 This spumante wine is produced from organic Lambrusco grapes in the province of Reggio Emilia. It is very velvety and smooth, delicate and not too dry. It is ideal on its own chilled as an aperitivo, but it can handle more substantial dishes especially those from the Emilian tradition such as tagliatelle or lasagne, and also it can be ideal for meat dishes. Lambrusco grapes are used to make red sparkling wines, that someone might find unusual but they are part of the Italian tradition, and this wine can be used to impress difficult to please guests at renowned delis and restaurants due to its high quality. The producer is currently looking for wholesale importers around the world. Very nice bubbly, excellent chilled in the summer as aperitivo. Recommended to those who love real Lambrusco from Reggio Emilia.